Miller Monroe & Plyler represents a wide range of construction companies – from large national builders to general contractors to small, local subcontractors. Construction contracts often involve a complicated web of agreements between property owners, developers, design professionals, general contractors, and subcontractors. If disputes cannot be resolved informally, they often proceed to a complicated, multi-party arbitration or litigation process. If the dispute involves complex technical issues, Miller Monroe & Plyler utilizes the services of outside experts. Expert witnesses provide specialized technical knowledge that can prove invaluable to client’s case. 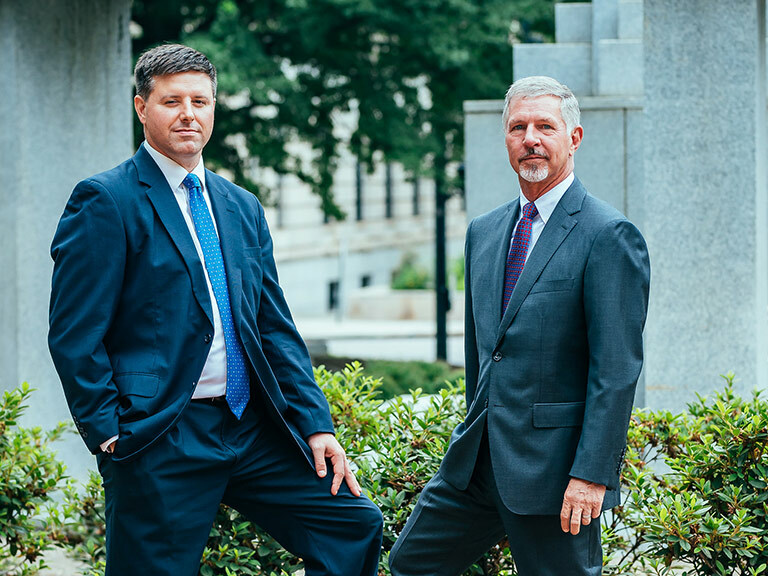 Miller Monroe & Plyler, in close consultation with its clients, selects experts with a combination of individual qualifications and presentation skills specifically geared to meet the client’s specific needs. Breach of contract claims, lien claims, change order disputes, collections, implied and express warranty claims, and other disputes. Design and construction defects – Whether a project was improperly designed or improperly constructed, we have the experience necessary to litigate claims between owners, contractors, engineers, and architects. Delay and interference claims – Many times a construction project gets delayed and the financial impact can be serious. Delays in obtaining permits, coordinating between contractors, processing change orders, or similar delays can cost contractors thousands of dollars. We litigate claims by contractors or by owners against contractors relating to construction delays. Insurance disputes over coverage, declaratory judgments, bad faith and breach of contract, and errors and omissions. Our lawyers have the business experience necessary to guide you through a complex and sometimes daunting litigation process. As business leaders, our lawyers have worked through complex accounting and tax issues, developed marketing plans, managed multi-million dollar budgets, and led dozens of employees. We take the time to understand your business goals in order to create a customized litigation strategy and more effectively serve your legal needs. As a small firm that focuses on litigation, our business clients are critically important to our well-being as a firm. Your disputes are our disputes. If you choose Miller Monroe & Plyler, we offer you big firm skills with small firm availability and efficiency. First and foremost, our lawyers will fight for you. We take our clients’ matters personally. We think about our cases on and off the clock and share your passion for your business. We will not back down from a challenge or be intimidated by large national firms. When you hire Miller Monroe & Plyler, we become a member of your team and help you accomplish your business goals. Last, but certainly not least, Miller Monroe & Plyler will be available to answer all of your questions and concerns – promptly and thoroughly. When you call, you will speak to your attorney. If your attorney is not available, we will return your call promptly and address your concerns. Your business is critical to Miller Monroe & Plyler and we will keep this in mind at all times.